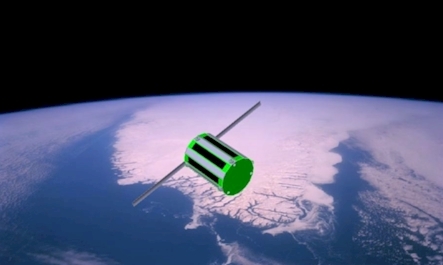 Both satellites are educational satellites and involve young students in the projects. TuPOD will integrate the two satellites inside a 3U CubeSat Structure designed to allow the coupling between TubeSat and the Japanese Experiment Module (JEM) Small Satellite Orbital Deployer (J-SSOD) launch mechanism. The TuPOD will release the two satellites after 2 days, in accordance with NASA safety requirements. After the TubeSat deployment, the TuPOD will start is own mission receiving and sending data to amateur radio ground stations. The TuPOD electronics have been designed by students at Morehead State University and is an updated version of $50SAT PocketQube electronics and Telemetry, Tracking & Command (TT&C) system. Proposing a 1k2 GMSK UHF downlink and now expected to be deployed fom the ISS in spring 2015.